My family comes from a long line of fantastic bakers. As amazing as this may sound for my kids, this could easily have put them at a disadvantage to enjoying the Christmas season. Why? Well simple, because I want everything to be perfect, which could only mean one thing, no kids in the kitchen. Luckily for them, I was raised by my Mom who always made sure we got in the kitchen to help & in December it counted as school in our Homeschool. Perfection was cast aside in exchange for memories made together. Our cookies looked hob knob at best, but we had cherished those times together, especially at Christmastime. Maybe my Mom didn’t serve up world class desserts to our friends and family, but instead our kitchen was warm with the gifts that we created alongside her. Imperfectly perfect decorated sugar cookies loaded with sprinkles and candy mountains on top. Or Buckeyes rolled lumpy and under dipped in chocolate, even as an adult, my Dad may still wince over that one but my sister and I always have a good laugh over it. Russian Tea Cakes rolled in powdered sugar with a chance of messy fingers, clothes and floor. We may have even veered away from the family Fudge recipe from time to time, a mistake always, but a mistake allowed nonetheless. Sometimes Triple Oreo Fudge really does sound better that Chocolate Walnut but our transgressions are soon forgiven when we go back to the family favorite. How much fun are perfectly made Christmas cookies, if the kids aren’t allowed to participate in the fun? 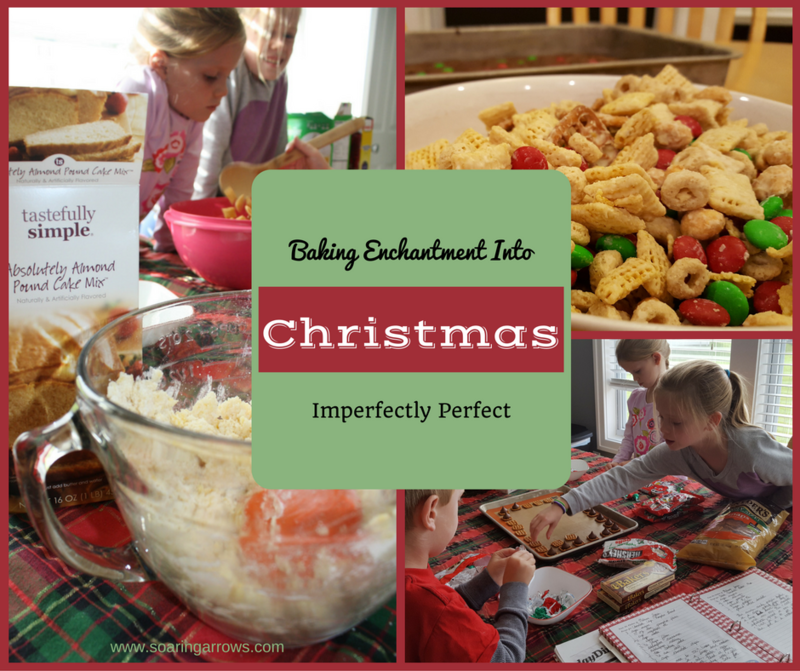 This post is part of the ABC’s of Homeschooling Through The Holiday’s series over at Life of a Homeschool Mom, you can read the rest of Holiday Baking With Kids: Perfectly Imperfect along with many other wonderful posts which will be added each day. Head on over to get some wonderful ideas to celebrate the Holidays with your kids! My kids love baking! The home smells wonderful when there is a treat in the oven! I agree! This is the best time of year for those lovely smells! Shelly I look forward to the days my kids can bake without help! Scones sound delicious! We love December school when excitement is ramping up but we choose to slow down…and make lots of cookies 🙂 Mistakes are delish!! Involving your kids is a great way to teach them about cooking and family traditions. My daughter-in-law involves my grandson in making tamales every year at Christmas. He really looks forward to it each year. Making memories.